Many of the tutorials available on-line display beautiful Hijabi women with big voluminous hair under scarves or bonnets. I’m blond, blue eyed, with very very thin hair. Even if my hair went to my belly button, no way there would be enough of it to get the kind of volume some of these ladies have. I came across a few ways to add volume under your scarf. A first, easy way to add volume is to use the Basic Scarf Bun as an under-scarf. The bun of the scarf will blend as your hair under the second scarf. A similar way to get the same result is to wrap a scarf around a pony tail. This technique allows you to place the bun where you wish to have volume exactly where you want it! If you want lighter volume, there are options! We’ve all seen those flower clips, they were super hip with our friends when we were… 10 years old! Well they’re still available at most accessory stores: Ardene, Claire’s and even at some drug stores. These adjust right over a pony tail and come in a variety of size for the volume you want. Other accessories can be added to your hair to add volume such as scrunchies. 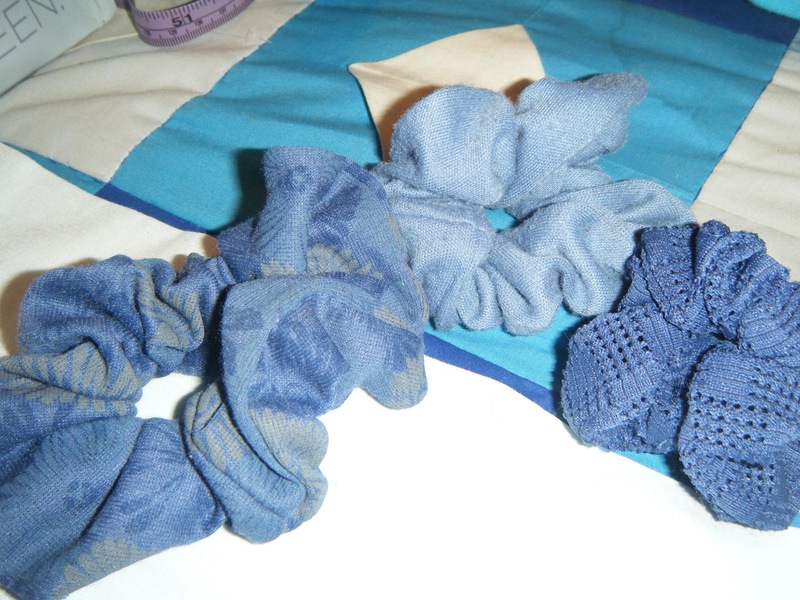 Yes, retro, early-90s scrunchies! Add to a pony tail for subtle volume. These are actually good for your hair, better than rubber elastics or elastics with metal bounds. For those of you who don’t want to add to your hair, there are some illusions you can create with you scarves. creating folds on top of your head can help. Certain draping techniques can also help create the illusion of volume. I will cover those in upcoming tutorials.